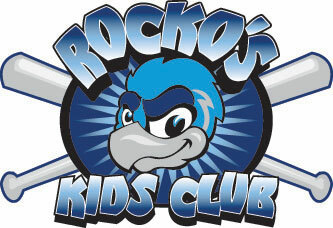 August 15, 2006 - TRAVERSE CITY, Mich. ­– The Rockford RiverHawks trailed one of the best pitchers in the Frontier League after five innings Tuesday night, but the offense battered the Traverse City Beach Bums late to pull out a win, 12-8. Tony Casoli came into the game with a league-high 12 wins and an ERA under 2. The Beach Bums staked him to a 4-1 lead, but Rockford scored three runs in the sixth on five base hits to tie it. The 'Hawks then pounded the Bums relief corps in the eighth inning. Nine men reached base with two outs, eight runs scored, and Rockford had a 12-4 lead. They would need almost all of it. Mike Marksbury came out after pitching two innings of perfect relief. Adam Kroft and Beau Massey combined to give up four runs on one hit, walking a total of five batters in 1 1/3 innings. Dave Dowling finally shut the door in the ninth by retiring the last two batters. Marksbury (2-0) struck out four of the six he faced to get the win in his first action since coming off the disabled list. Rico Santana went 3-for-5 with four RBI and three runs scored to help hand Jordan Thomson (1-5) the loss out of the bullpen. Rockford has now won a season-high five games in a row. The RiverHawks are back in action at Traverse City on Wednesday. Game time is set for 6:05 CDT. The birds are in the beginnings of a nine-game road trip, the longest of the season. They will not be back in Loves Park until a game on August 24.